Hosted at Oxygen Art Centre and in collaboration with Torchlight Brewing Company, we made a custom sour beer — a Conflict Brew — to act as a medium or co-facilitator for difficult conversations. 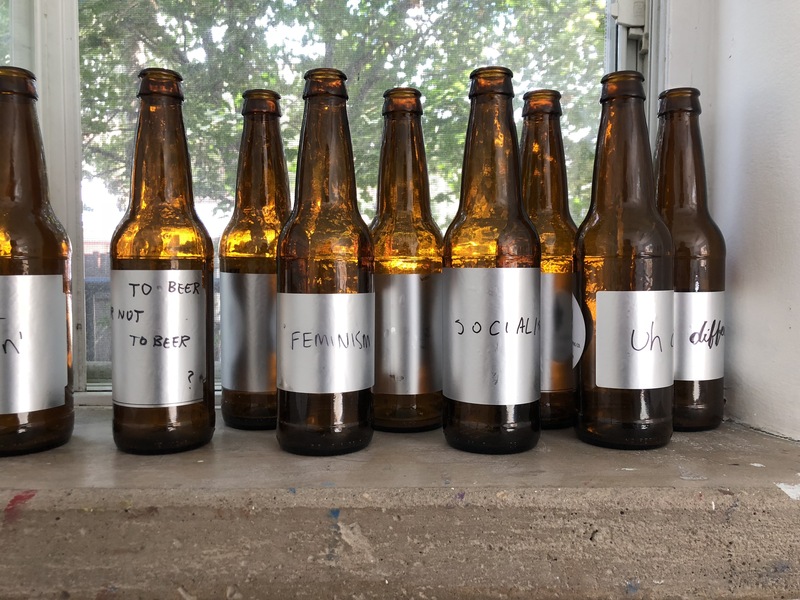 The beer bottles had a blank label in which the participants were invited to dedicate a conversation to a particular disagreement. 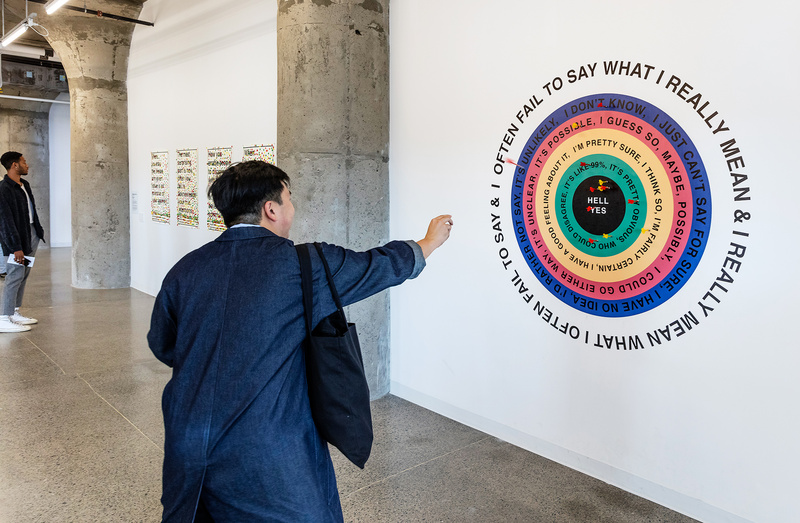 Alongside the beer, a corresponding exhibition encouraged community members to indulge in challenging conversations, with text-based artworks and dialogical workshops. 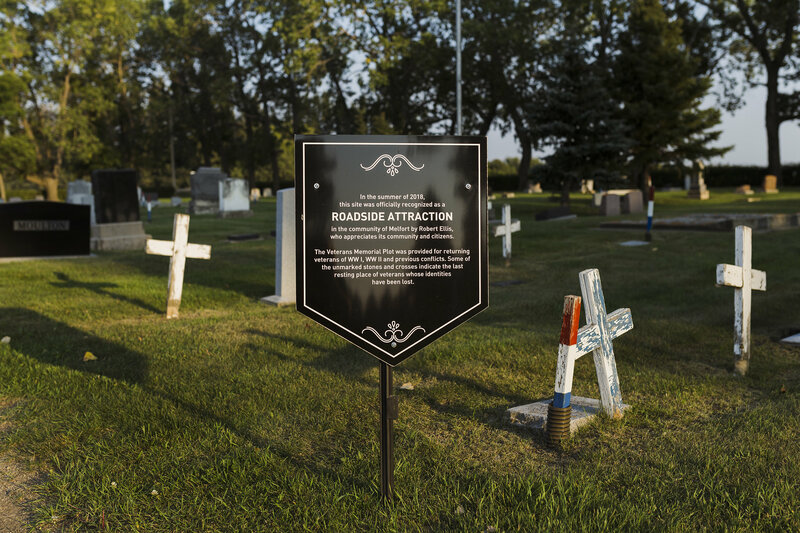 For this project, I created a “roadside attraction” designation for Melfort, in the form a framework for a sign or marker, installed across a number of sites throughout the community. Hinging on a form of community participation, based not just on open solicitation, but specific invitations, this project explored the process of negotiating the meaning of a landscape based on personal resonances that can scale up to community symbols. 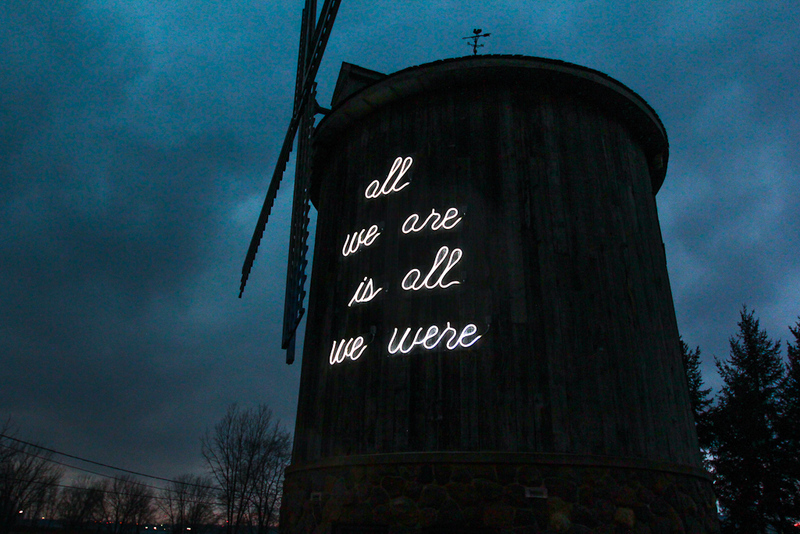 Existing Attractions was presented as part of Roadside Attractions, organized by Dunlop Art Gallery and partners across the province, presented a network of contemporary art commissions across Saskatchewan during the summer of 2018. Each participating artist considered the unique histories, geographies, and populations of their exhibition locations — factors that have shaped dozens of Saskatchewan spaces into meaningful places. Special thanks to Gailmarie Anderson. Photo by Carey Shaw. For 18-months, I was the City of Vancouver’s inaugural Artist-in-Residence working with the City’s Sustainability Group. Supported by staff in both Sustainability and Public Art, I contributed to planning and engagement efforts on key Sustainability projects informed by the Greenest City Action Plan. 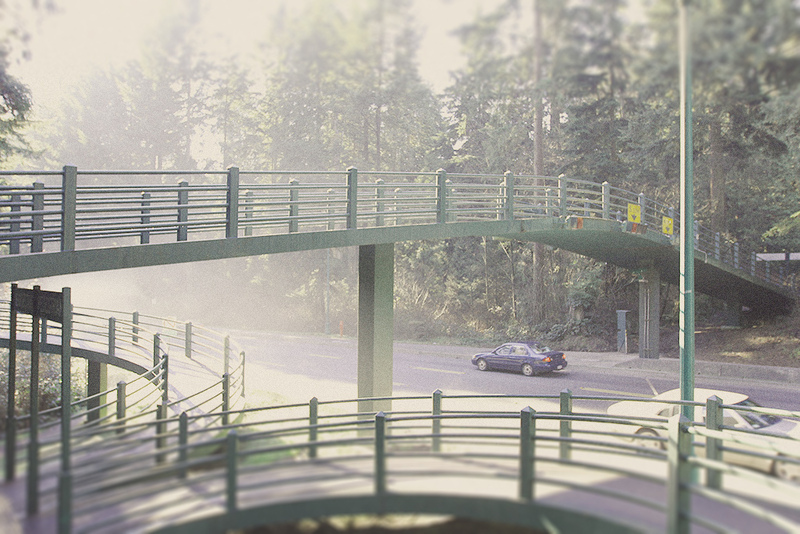 The residency culminated in the installation of this public artwork along False Creek in Vancouver, BC. 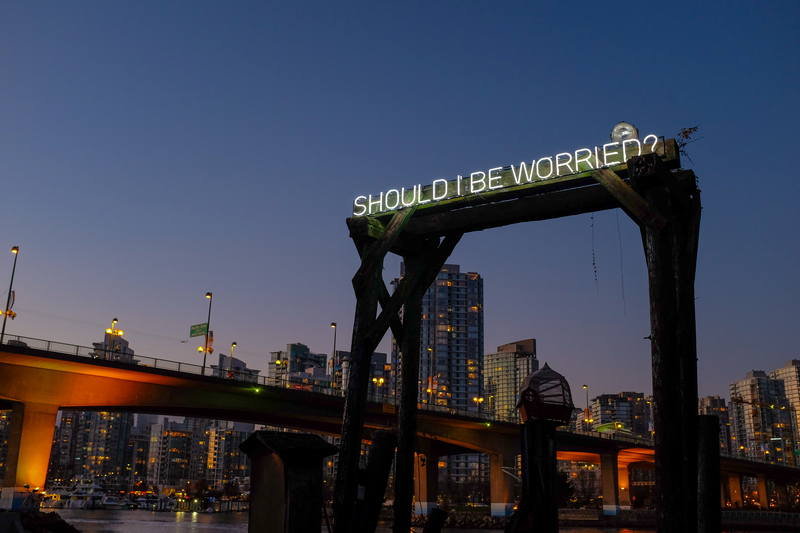 The neon sign reads, “Should I Be Worried?” and is affixed to a wooden support structure that helps to frame a number of social, environmental, and political issues facing the city at the moment. This project was made possible with support from the City of Vancouver and an amazing group of staff in Public Art, Sustainability, and Engineering. Float School explores the form of a School through an examination of the earliest understanding of the word, drawing from the etymological base of skholē, which translates as spare time, leisure, rest, or ease. Float School aims to undermine and interrogate the dominant narratives of public and private western education, instead looking to notions of leisure, retreat, slowness, and play as sites of productive resistance and forms through which to develop new capacity for political and social action. 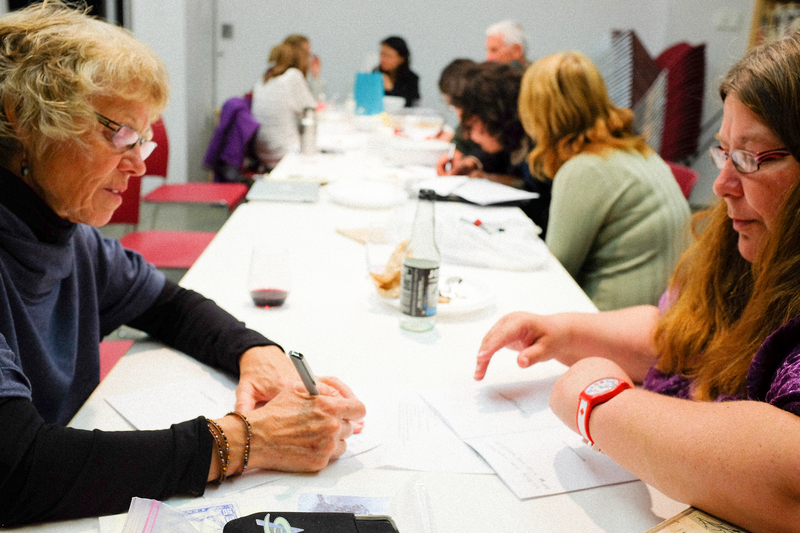 It embarks on collectively imagining and enacting multiple futures for the role that art, public engagement, and learning can play in Canadian society through inquiry, activity, and slow action. Float School will help us to spark the next phase of dialogue around socially engaged art, one that draws from Canada’s specific history of artist-run-culture, and generates an innovative new approach to locating art in rich and complex proximities to public, commons, the natural environment, and learning. Float School is supported by Living Labs at Emily Carr University of Art and Design. Commissioned by AKA Artist-Run and supported by the Canada Council for the Arts’ New Chapter initiative, Locals Only is a large-scale multi-year art project that explores food security, community led resource development, and intergenerational exchange in the core Saskatoon neighbourhood of Riversdale. As one of the oldest neighbourhoods in the city, Riversdale hosts some of the most diverse and culturally rich communities in the region, and yet is simultaneously facing unprecedented pressures from encroaching gentrification along with long-standing issues related to accessing locally-sourced sustenance. 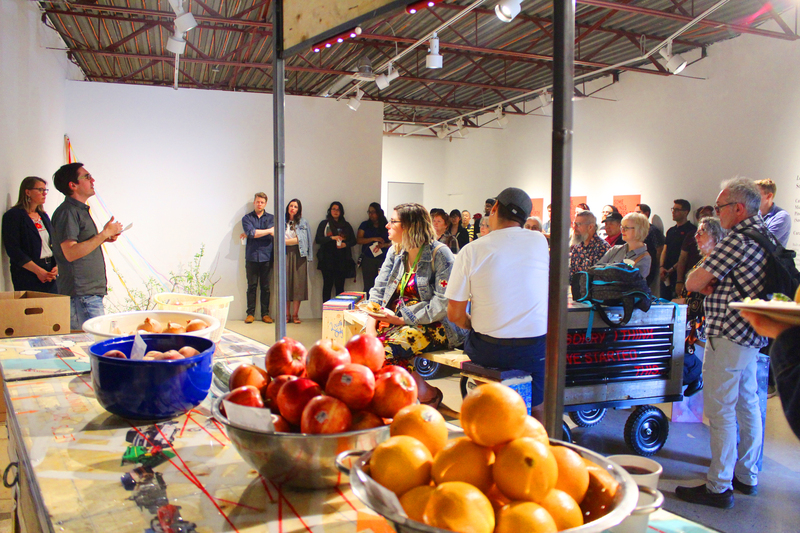 In response, Locals Only takes the form of a mobile food service that deploys socially engaged art, local knowledge, and long-form hospitality to cultivate a community-based exploration of reciprocity by redeploying symbolic representations of gentrification into the hands of longtime community residents. Commissioned by AKA Artist-run following a residency supported by the Saskatchewan Arts Board, this text work (in red) explores the language we might use to think of and enact sustenance. 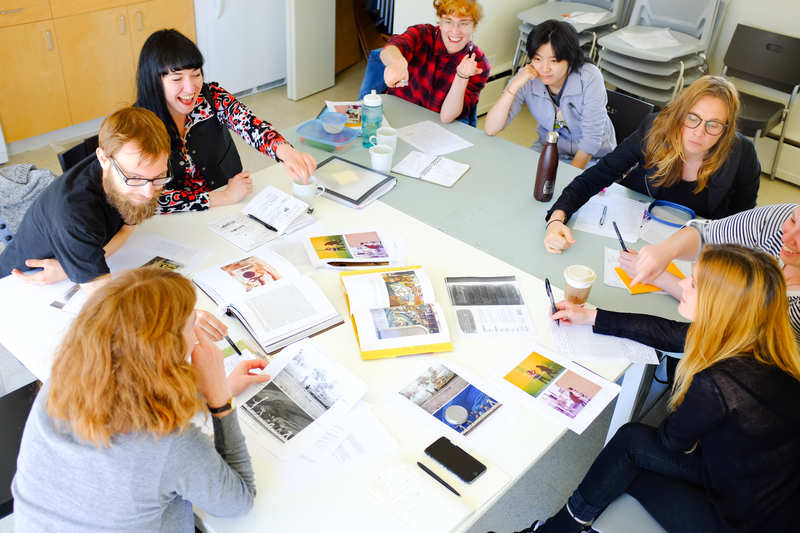 The Neighbourhood Time Exchange is an artist residency model that operates on a simple principle: for every hour an artist spends in their studio, they contribute an hour of volunteer time working with a Community Partner. This residency uses the concept of time banking, in which artists and community members work together for mutual benefit. Community Partners provide ideas, their expertise on the needs of the city, and a context for the artist. Artists provide their vision, their unique perspectives, and their specialized skills. Designed and curated by Justin Langlois, the Neighbourhood Time Exchange was initially launched in Philadelphia in 2015-16 through Mural Arts Philadelphia and the People’s Emergency Center. 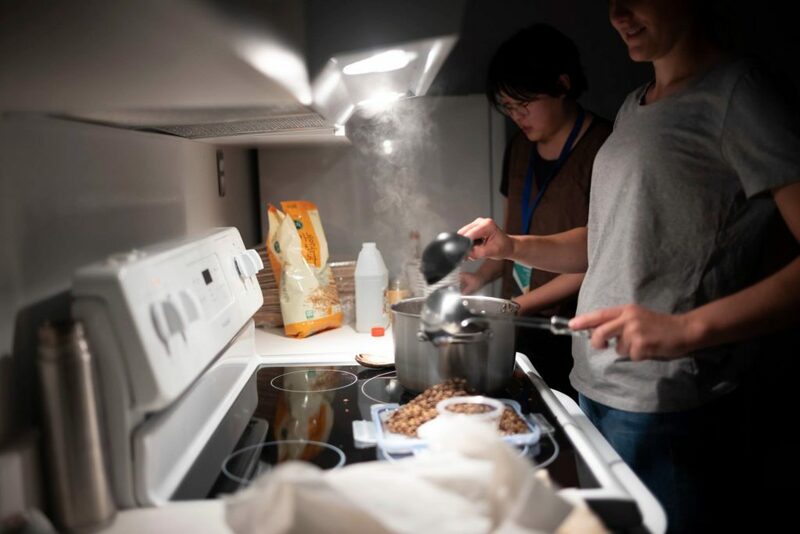 In 2016-17, the Neighbourhood Time Exchange opened in Prince George through Downtown Prince George and Emily Carr University of Art & Design’s Living Labs. 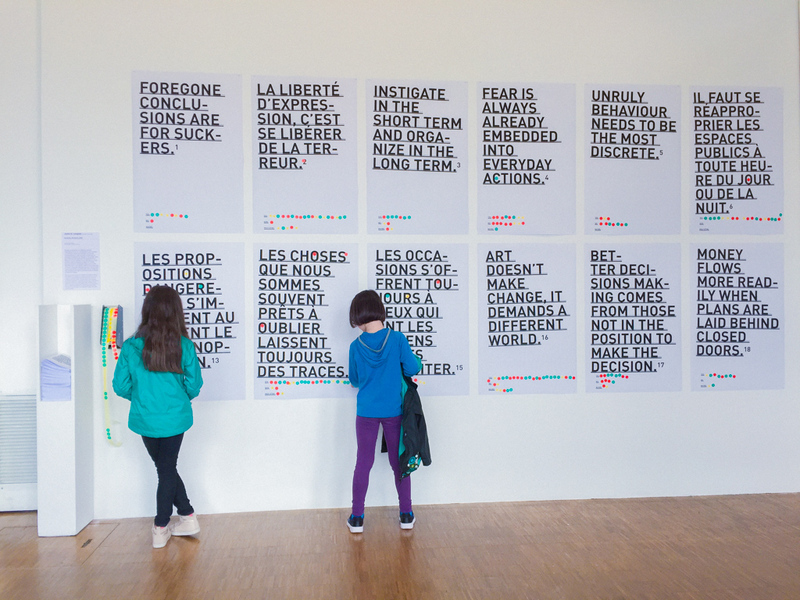 Exhibited at the Centre Pompidou in Paris and at the Street Meet Festival in Saskatoon, Decisions, Decisions is a temporary and interactive text-based installation. The statements for Decisions, Decisions are based on exaggerations and distortions of familiar rhetoric from community consultations, urban development, campaign slogans, and protest placards. 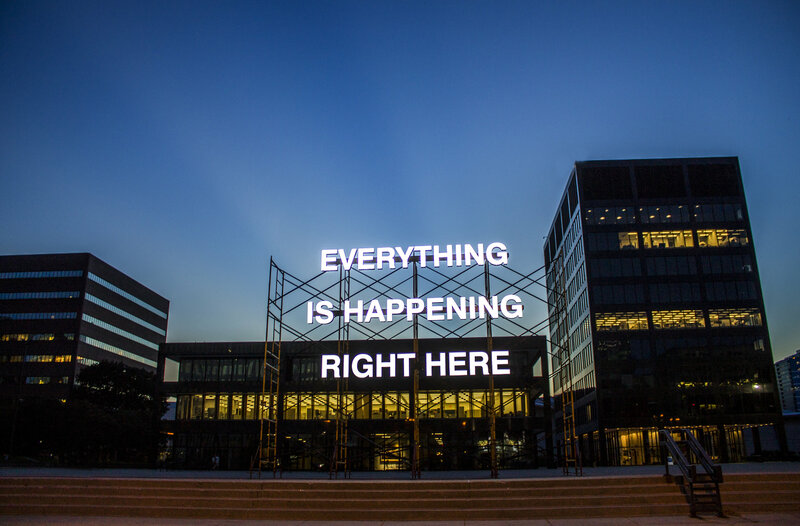 The text is ambiguous or unsettled, designed to encourage a plurality of understandings, highlighting the diversity of our own interests and affinities in a public space. However, each statement is also more complex than it might appear at first glance, aiming to offer a sense of instability or shifting priorities for the viewer. 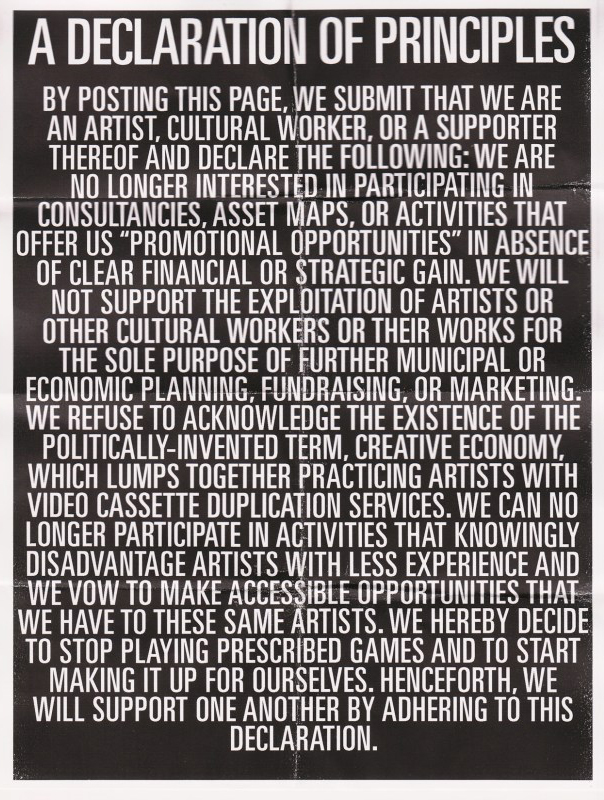 Drawing on this kind of language, the poster series also interjects other logics and potentials by encouraging participation based on either agreement, disagreement, or ambivalence, using small sticker dots normally found in asset mapping activities and based on added complications based on footnoted questions in a corresponding booklet. 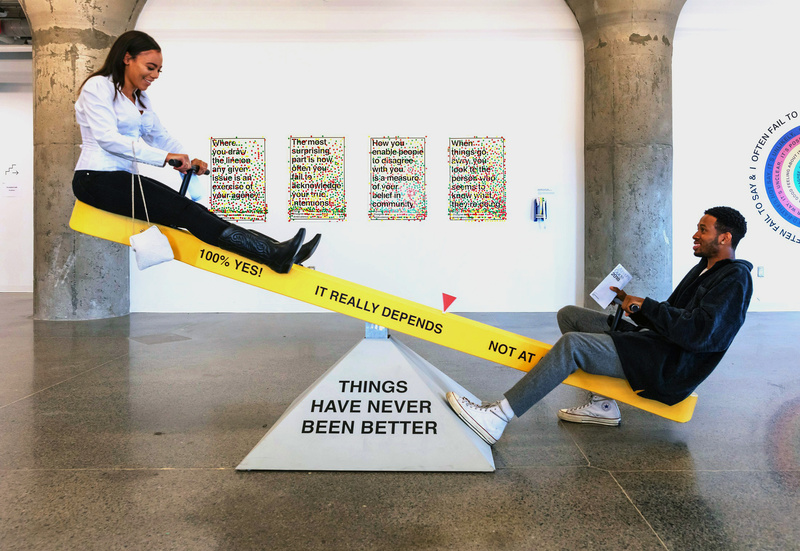 Decisions, Decisions aims to capture a sense of possibility and power in the language we use to describe ongoing, and yet subtle, political struggle. The School for Eventual Vacancy operates as an ongoing exploration of education as creative practice and political subjectivity. It tries to find the power to make itself unnecessary and vacant. It is open to anyone interested in art and design-based discourse and production. 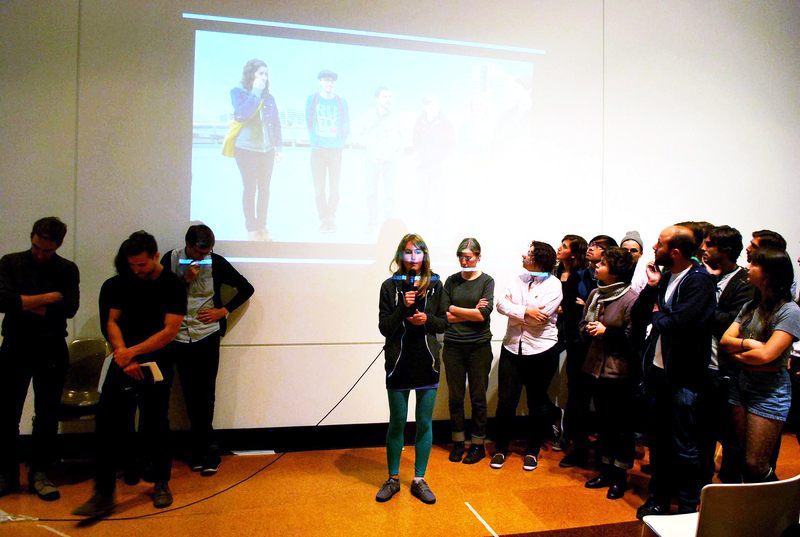 It is an art school that has no interest in the current models of the art school. It’s open occasionally and as needed. With Broken City Lab, as part of the Watershed+ public art program in Calgary, distributed along the Elbow and Bow Rivers and affixed to the stormwater outfall signs, Subtext: River Signs aims to engage the public to consider a number of questions about the rivers that have come to define the City of Calgary. Playfully asking a series of questions, Subtext: River Signs encourages thousands of residents and visitors to think about the ways in which we collectively and individually experience the rivers and how these questions might cue new relations, memories, and stories of the Bow and Elbow. 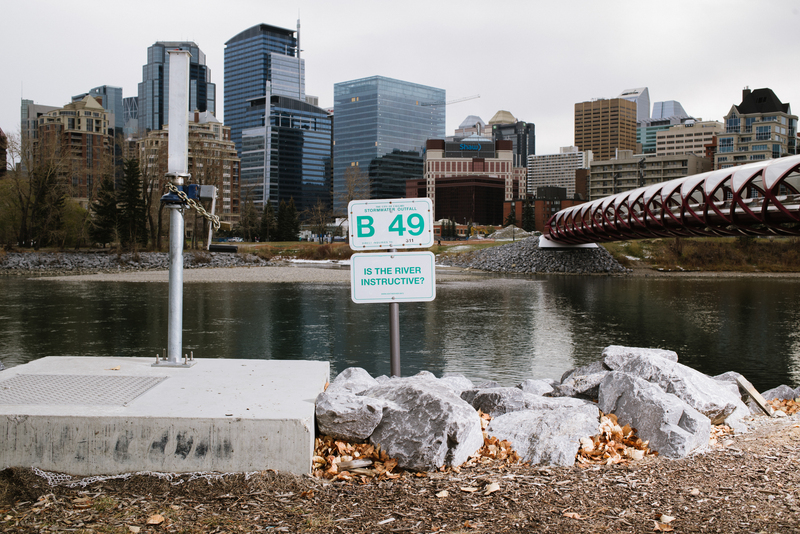 The Artist in Residency program is part of The City of Calgary’s innovative and groundbreaking Watershed+ public art program, hosted by the Utilities and Environmental Protection (UEP) department. Watershed+ creatively renews the relationship between Calgarians and the Bow River watershed, embedding artists, and more specifically, their creative process within UEP core activities and the Calgary watershed. 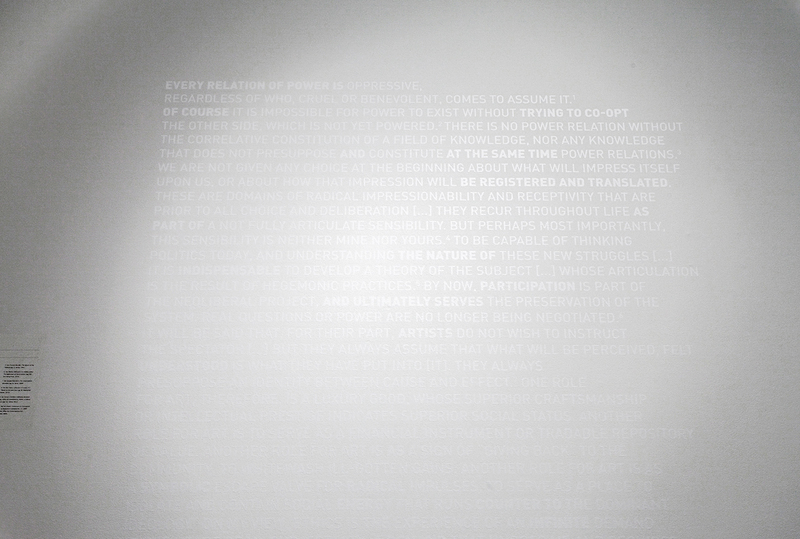 Glossed Over appears as a large-scale sampled text in white gloss finish vinyl that explores critical understandings and framings of the roles of power, participation, and ethics in relation to art and its institutional contingencies. 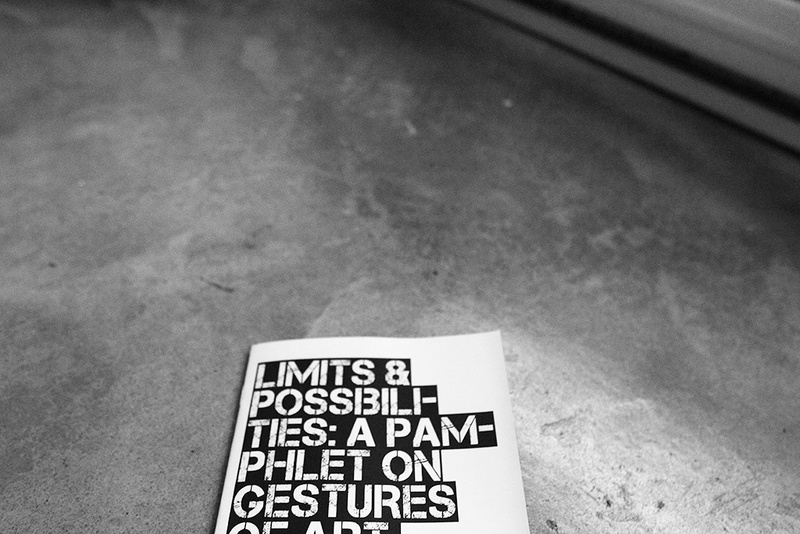 Sentences drawn from a series of writers including Judith Butler, Jacques Ranciere, Chantal Mouffe, and Sol Lewitt, among others, are stitched together to create a winding statement on the embedded challenges in which contemporary gallery spaces (and the art contained within them) are necessarily implicated, while the emphases added to the texts creates a secondary entry point into the work. 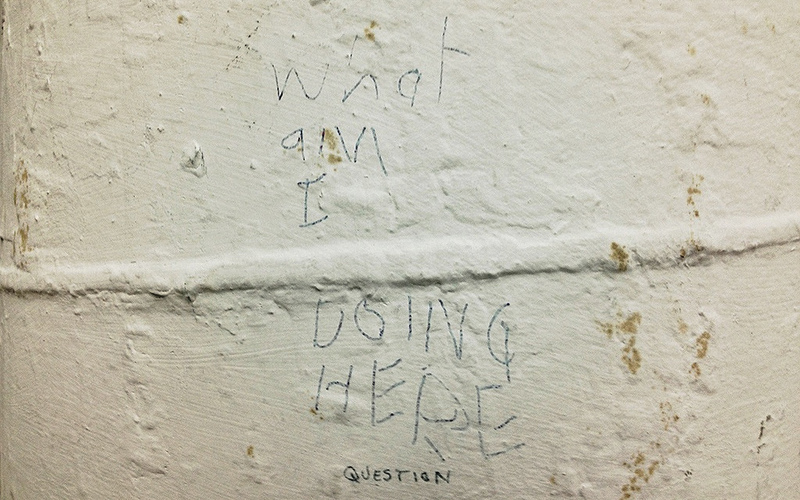 The text could be read as a caption, response, critique, or commentary on the context and potentially hidden frameworks of support, antagonism, or compromise within which the gallery space exists. The books from which these texts are drawn will be catalogued and available for reference at MOCCA. This work appeared in the exhibition, TBD, curated by Su-Ying Lee. 10 Things You Will Always Need to Know About This City (hereafter 10 Things) invited members of the community to contribute to a series of time capsules that will be embedded throughout the city of Lethbridge for periods of time ranging from next year to 1000 years from now. The time capsules asked for intimate and essential understandings about the city through the inclusion of urgent and important items from today alongside more reflective or speculative items that can describe people or places that have already been lost, or inventions, architectures or dreams that should exist. 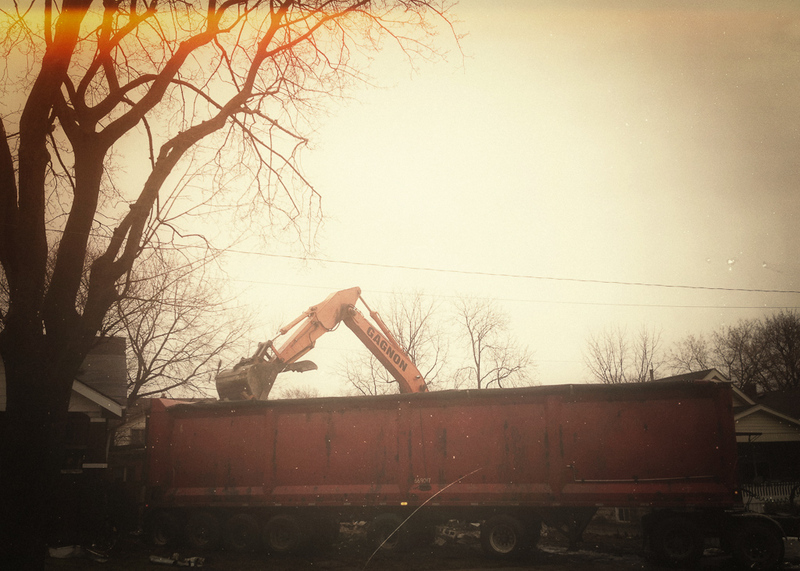 The project aimed to create an opportunity to consider time through the lenses of legacy and burden as practices of everyday life, forms of resistance, and forward-looking records for the city of Lethbridge. Contributions of small artefacts, stories, and documents formed the basis of the official entries to the series of 10 time capsules. Each time capsule will be themed around a prompt or question about Lethbridge, and each entry will, in turn, aim to provide a response. Accompanying these object-based responses will be a small publication featuring written responses from interviews with the project participants, copies of which will be made available online and in print to help document the project. The time capsules themselves will be laser-engraved stainless steel containers of various sizes and will be buried, embedded, and otherwise stored in various locations throughout the city. Upon completion, a plaque will be created with the GPS coordinates and opening dates of the time capsules, hosted in perpetuity at the Southern Alberta Art Gallery. 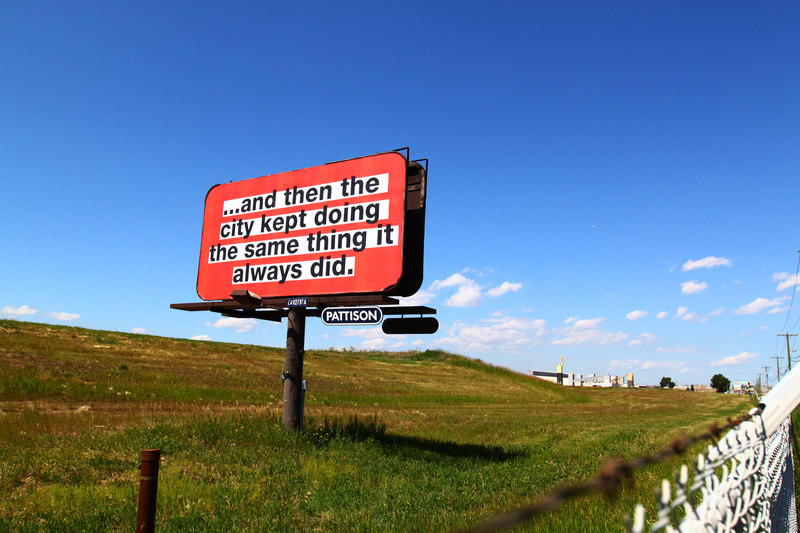 Commissioned by the Southern Alberta Art Gallery in 2014. 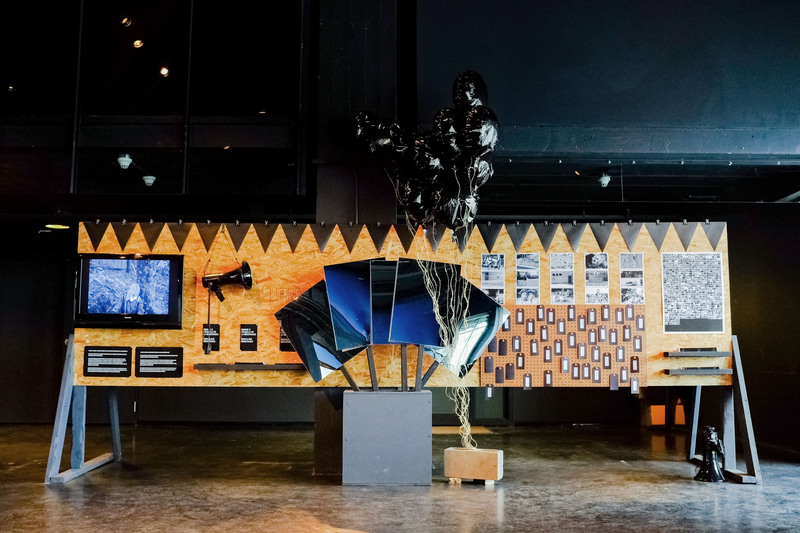 Originally as part of Manif D’art 7 – Resistance: And Then, We Built New Forms / Résistance – Et puis, nous avons construit de nouvelles formes, curated by Vicky Chainey Gagnon, and then presented at the Centre Pompidou in Paris as part of Hors Pistes in 2016, I created The Academy of Tactical Resistance, an installation and project space featuring a series of booklets, photographs, workshops, ephemera, videos, exercises, and demonstrations aimed at exploring and distributing the tactical capacity for small-scale resistance. 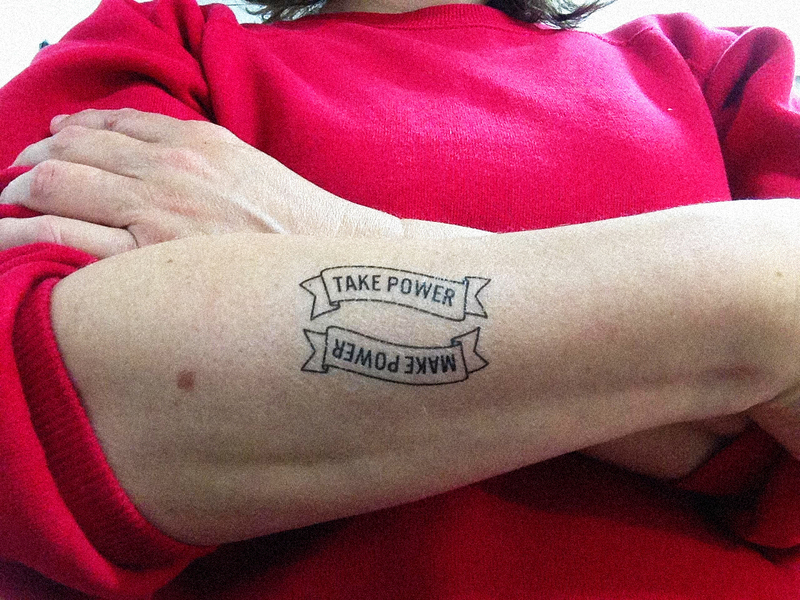 Through the heightening of everyday concerns to disruptive emergencies, ATR offers a toolkit aimed at carving out new forms of agency in our daily lives, working to enable everyday citizens to remount their own resistive practices in the places they live. Crucially, ATR imagines itself as a pop-up education zone for the radicalization of everyday practices and adjustments. It forgoes the assumption that dramatic revolutionary change is imminent, and instead relies upon de Certeau’s analysis of everyday tactics and Hardt’s and Negri’s discussion of affective labour to develop an academy that can support the resistance of the small, the porous, the invisible, and the routine. 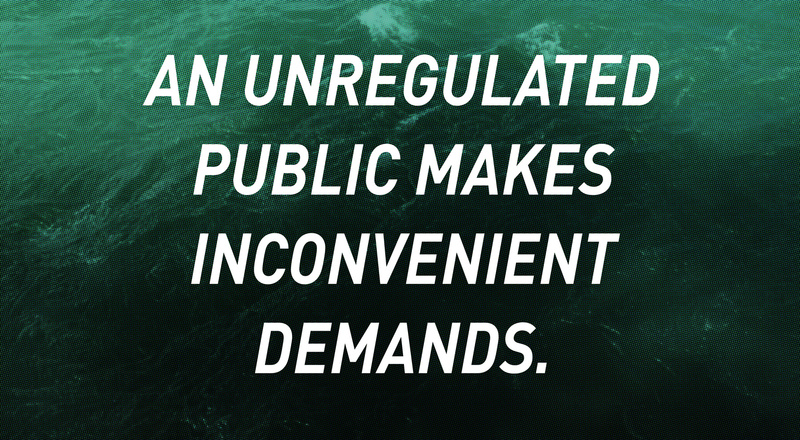 ATR finds the emergency embedded in the banal and aims to mobilize the affects of the ordinary. It blends glimpses of violence, utopian practices, critical theory, and DIY aesthetics to offer viewers an opportunity to not only explore tactics of resistance, but also the prompts to construct their own responses to the everyday emergencies they encounter. This video features raw footage from the Associated Press (AP) online archive of resistance activities from around the world. These short clips are collected from the top five results returned by searching the AP online archive in March 2014 for the following keywords: protesters, riots, resistance movements, activists, strike, freedom fighters, tactical, rebels, guerrilla, uprising. This footage is often used as b-roll in news broadcasts to help contextualize the story, but when collected from the archive, it exists as an unedited stream of supporting images detached from summarizing narratives. This work has been shown at Manif D’Art (2014) and the Centre Pompidou (2016) as part of the Academy of Tactical Resistance. 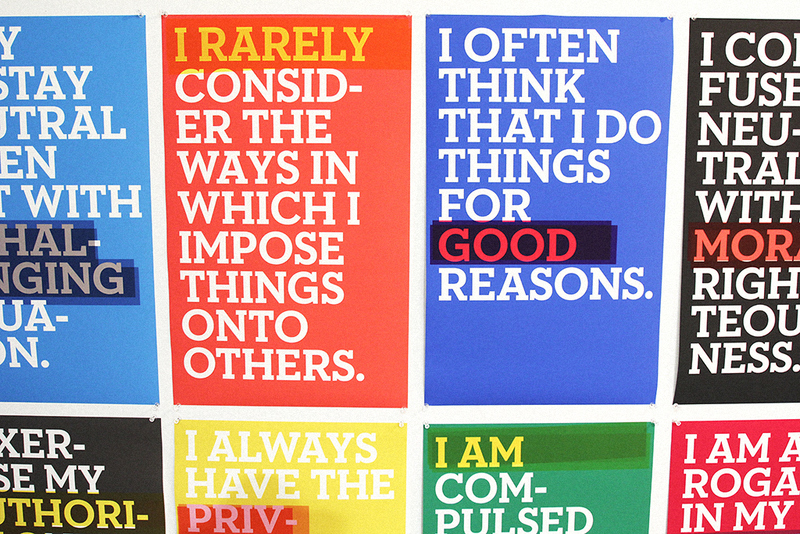 A series of paired posters exploring characterizations of our actions and their counterpoints. Drift: a tool for getting lost in familiar places from brokencitylab on Vimeo. Drift helps you get lost in familiar places by guiding you on a walk using randomly assembled instructions. Each instruction will ask you to move in a specific direction and, using the compass, look for something normally hidden or unnoticed in our everyday experiences. 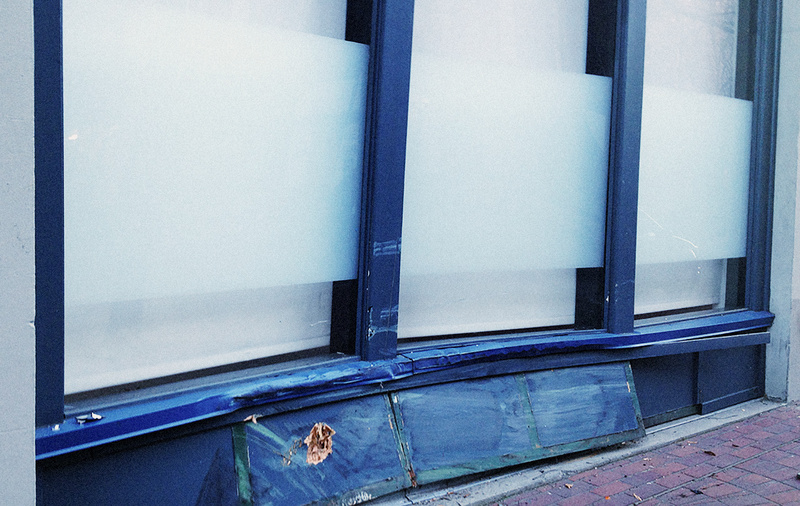 Drift was designed and developed by Justin Langlois in collaboration with Broken City Lab. This project was generously supported by the Ontario Arts Council Media Arts Grant for Emerging Artists. 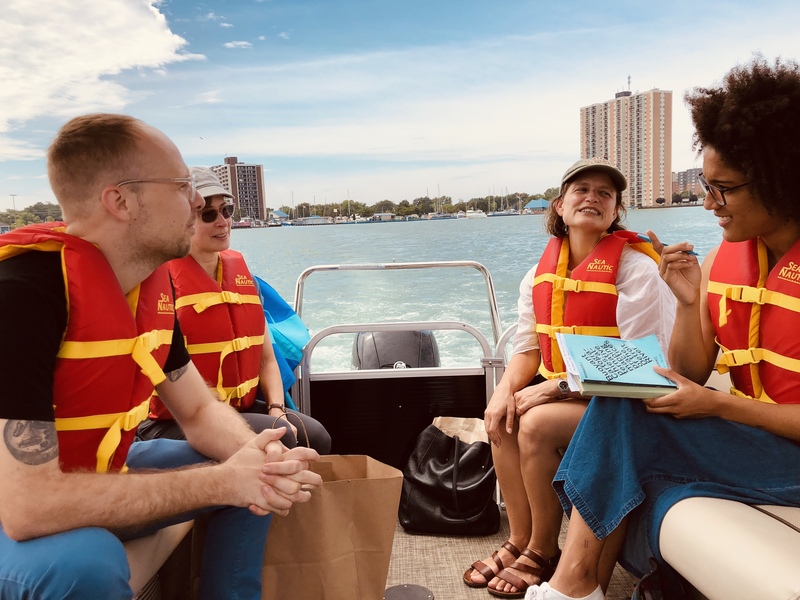 With Broken City Lab, Homework: Infrastructures & Collaboration in Social Practices was a four-day residency and two-day conference featuring 19 artists in residence and keynote presentations from Gregory Sholette, Marisa Jahn, and Temporary Services. This conference was supported by the Ontario Arts Council, the University of Windsor’s School of Visual Arts, and the Art Gallery of Windsor. Homework II: Long Forms / Short Utopias was a three-day conference aimed at unfolding the ways in which we construct, articulate, and practice ideas of micro-utopias, pop-up ideals, collaboration, and long-term social engagement in Ontario, across Canada, and abroad. Keynotes included Steve Lambert, Jeanne van Heeswijk, and Darren O’Donnell. The conference built on our previous conference, bringing together multidisciplinary artists and creative practitioners enacting and articulating the complexities of working in practices driven by curiosities about utopian collaboration, community, infrastructures, locality, and long-form social practice. This conference was made possible with support from the Ontario Arts Council and Ontario Trillium Foundation. A series of 25 hand-painted posters created to provide a starting place for complicating the ideas and concerns informing an art practice based on locality, infrastructures, and social practice. Underlines in red masking tape allow for a shift in emphasis should the occasion arise. A list of outlining the feasibility of fifty activities that could occur between Windsor and Detroit residents to re-imagine cross-border relationships. 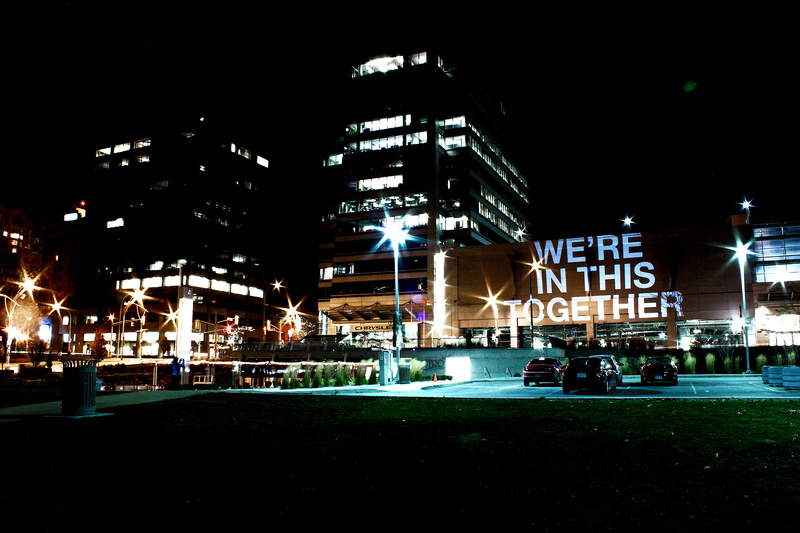 With Broken City Lab, in November 2009, we projected a series of messages from Windsor that were visible across the border in Detroit, as an interventionist performance series based on the desperate need to communicate between these two cities. This project was made possible by the University of Windsor Faculty of Arts, Humanities and Social Sciences Research Leadership Chair and Spectrodata, and was designed with the Vincent Massey Secondary School Junior Physics Club. 500 biodegradable balloons with printed message filled with helium and wildflower seeds.